I love making fun of horrible money advice and atrocious career advice as much as anyone else, but sometimes we have to turn the focus onto ourselves. How many of us choose to focus on the most pointless areas of personal finance? Should I open this credit card? I feel guilty paying for name-brand cheese. Do you think I should buy one of those coupon books? Think about it for a second. You can work for 2 years to really optimize one area of your finances (e.g., honing your discipline to stop buying chocolate). But what if you’ve picked the WRONG THING to work on? What if chocolate purchases are only 0.00001% of your total spending? No matter how hard you work at disciplining yourself, it’s ultimately useless. It’s like being CEO of the wrong company. I’d like to talk about some of the most common areas we focus on and highlight some effective/ineffective ways to think about them. Why? Because being rich isn’t about which credit card you use or which bank you choose. If you want to live a rich life, learn to focus on the bigger picture: mindset, execution, and timing are more important than sitting around and debating minutiae. Let’s go through some examples to help apply this to your life. The point is to work on the right things, not to simply try harder. People in credit card debt spend time debating which credit card they should get, how they can quickly up their credit score, or whether or not they should negotiate a lower APR. Those things will only take you so far. The number one thing they need to do is AUTOMATE THEIR PAYMENTS AND CUT COSTS TO PAY OFF THE DEBT. The problem is that thinking about how to use my script to get a lower APR and calculating how much 5% lower APR will save them is more fun, sexier, and seems more tactical. I don’t care how many blog posts or books you’ve read about the intricacies of credit. If you haven’t actually done the #1 thing you need to do, it’s worthless. And again, that thing is: Cutting costs and automating payments. When trying to earn more money, the #1 barrier is “finding an idea.” Instead of systematically testing different ideas, most people simply wait for the idea to fall down from heaven — and they do this for their entire lives. Worse, some people delusionally waste time on business cards, setting up an LLC, and obsessing over pricing. I’ve seen this in literally thousands of examples of students I’ve worked with. If you’re curious, I have tons of resources on earning more money, plus a free mini-course with step-by-step scripts to use today. Most people never even think of this, but for the few that do, they often approach it in a curious way. How many friends do you know who take out a piece of paper and sketch out grandiose notions of how much they can earn/save to live a great lifestyle? Sound familiar? Yet those pieces of paper are soon discarded, and we get our next set of bills at the end of the month, shrugging. “I guess I spent that much,” we say. When we try to save, we end up trying to save on everything — 50 cents on this, $4 on that. As a result, we give up in a couple weeks. A better approach would be to use the Two-Headed Savings Approach, which lets us focus on limited attention and willpower on the biggest wins. After that, focus on the CEO Model — Cut Costs (above), Earn More, and Optimize Spending. Optimize existing spending by making a few phone calls to negotiate lower rates for cable, your gym membership, even credit cards. And automate the entire process. First, I want to ignore them. Then I want to kill them. Finally, I decide to shame them. Attention morons: The difference between 1% and 2% on even a $10,000 balance is about $8/month. You do not get rich from rate chasing. Instead, pick a bank you trust, fold it into your automation system, and get on with your life. Don’t know where to start? Here are my favorite checking and savings accounts. Pick one and get on with your life. Americans love to try to do it all. They use phrases like “it couldn’t hurt, right?” when in reality, it very much could hurt to focus on the wrong things. That’s because we’re cognitive misers with limited attention and willpower. If you’re wasting these limited resources worrying about a $3 latte, you will almost certainly be ignoring the Big Wins — like negotiating a higher salary, finding your Dream Job, earning more, and cutting costs on the biggest areas of spending. Making these big changes is hard, so we try to distract ourselves with peripheral decisions like APR, interest rates, credit-card companies, and other irrelevant data. Choose your battles wisely. We can only focus on so many things (something that flies in the face of our “do it all” culture), so it’s important to (1) pick the right areas to focus on, and (2) ruthlessly hone and optimize our approach within each area. For example, we all know people who have been talking about some “great idea” they have…for 20 years. Compare them with someone else who decides to simply get started — who takes a testing approach — and after 4 weeks, has made more progress than the “dreamer” made in 40 years? I’ve covered every single one of these topics on this site over the last 8 years. Just remember — most people will focus on the tactics because they’re shiny and immediately rewarding. But losers love tactics. Winners ignore shiny things and focus on what matters most. Your answer for saving money is listed as the previous mistake! Lol. I agree with everything you say though. I would add Pay Yourself First. Automating payments has had a profound impact on my life. As a self employed dude, I was always scrambling. Boom, bust. Make money, chase bills away, buy something cool, be broke, scramble, make money. I read your book and it was the FINAL thing that convinced me to W2 myself – my ego had to face facts and realize that I could only draw a smallish-salary. But, the taxes are raked. I live in reality. I can give myself a raise anytime. And it was enough. More than enough. It got me out of the twitchy, addicted boom-bust freelancer business model. I make a salary and it turns out that it’s more than enough. It put me on a rhythm. I don’t have to stall vendors, I have the cash to run the business. You don’t explicitly say freelancers should W2 themselves…but if you’re freelancing for a living, you gotta. That was life changing, and not having to think about money all the time is meaningful. I get paid. And I can build a business. The two interrelate. I am a business owner too. One thing that use to kill me was bills all hitting at the same time and trying to pay them all as they came in. I worked out a system where I have a separate bank account that I pay all my fixed expense. I took all my fixed expenses and calculated a total monthly expense. I divided it by four and have that amount withdrawn automatically from my business account every Friday. Then, I have a portion automatically go into a personal account for spending and the same amount go into saving and emergency fund. Since I evened out my cash flow, I never worry about paying my bills. For me, the process of actually working to get out of debt involved the psychology behind why I was putting myself into debt in the first place. I HAD to do that, it’s the way my mind works. THEN I was able to cut costs and automate my payments! I’m still working on it. That was a wonderful recap post of your IWT philosophy. It was like IWT for beginners! As an endnote…when there is no goal (and plan to get there), then anywhere you end up is fine. And good things, don’t happen “randomly”. I have one objection to automated savings/investments… It’s that I LOVE hitting that confirm button to send money to the Roth, to send money to the savings accounts, or to send in that final payment to the student loan company (which is happening as soon as I get my tax refund). And every month when I make these transfers I stop and think can I increase these payments? And sometimes I actually DO increase them be it a one time bump or a permanent increase! I have the same obsession that you have, so the compromise that I made was to call all my creditors and ask them to change my due date on my payments. Now, I sit down on the 15th of every month, at 6 am (can you say a n a l rententive) and I pay all my bills on that one day. The only things that I have automated are my retirement contributions, my investment contributions, my savings, my tithing and my mortgage payment. All other bills, I love hitting the submit button. Well I caught the “pop up window” rather quickly but have to admit I have made a few of the mistakes myself or I know someone that has. … Have everything automated but “automate-out” what I put in! Thanks for the pep talk…needed it. Very interesting article. It is true that focussing on small things that aren’t going to have a massive impact on your bank balance can be a waste of time financially and that often it can be easy to miss the big picture. I do think though that it is important to thoroughly question all purchasing decisions as they can have an impact upon far more than just your finances. I’m 21 and never knew any of this stuff. And this is all the stuff I need to know. I’ve got all my friends onto your book now, have applied for a credit card, fixed my bank accounts, and am sorting out opening a superannuation account as a self employed musician (Australian equivalent to retirement accounts). And I haven’t even finished chapter 4 yet. I had never put a cent into my student loan debt, until I set up auto-payments. Now I wonder how much I have put into my debt. It’s a modest amount I know but it’s a far better amount than the previous amount of zero, and it was so much easier. I only have to be sure I leave some money in the bank for the payment each month. That has happened almost without thinking about it at all for the last three months. I can easily now add more money if I want to because I know how to use the bill pay for BOA. Yes I have BOA. But I don’t have any fees because I don’t use a debit card and got a student account which has no fees. It works fine. Automating payments and earning more on the side is hands down the best personal finance advice I’ve seen. Most people don’t realize that with just a few hours of work on the weekends or after their day job, they can earn money that can go towards bills, entertainment, whatever. 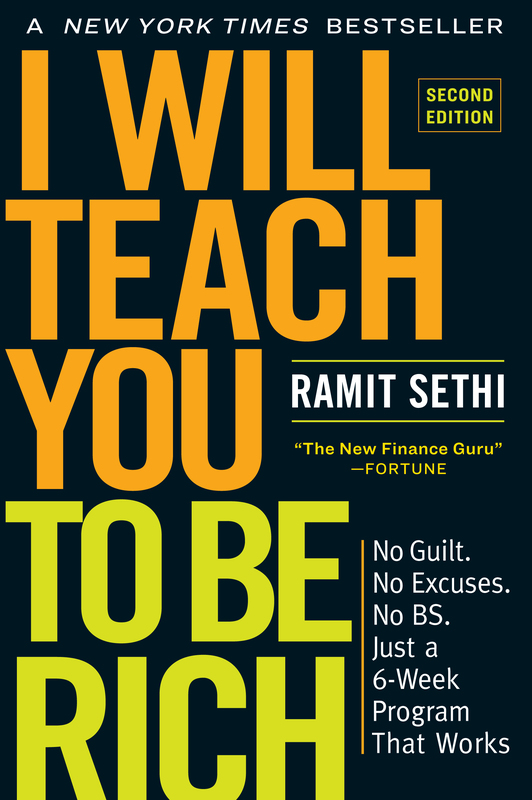 Love your blog Ramit! When we started working to pay off our credit card debts and save money, we really had to cut down on our expenses. Now, we are trying to look for ways to earn more so that we can build up our savings. This post is a must read. People are always busy making a to-do list and they get disappointed, It is also important to keep a to-don’t list. It is easier at times to just avoid the mistakes and keep in mind the things that will actually put you off track. Dumb money mistakes is truly an appropriate title for this post, because actually they are all just common sense, but we keep on clinging to the wrong because we think it’s more convenient. Good points! For the “Saving Money” category, I use the Pareto theory – I focus on the biggest opportunities for cutting costs or saving money. For example, I’ll focus on refinancing my house and saving a few hundred dollars per month before I try to save 5 cents or a dollar on smaller purchases. @Aloysa – have you considered that you can automate and still get the benefit of dialing up your payments / contributions? I have my paycheck set up so 10% automatically is sent to an account towards a home purchase. But, in ‘good’ months when I have extra, I manually go in to the account to make a one-time contribution. Ditto for payments – automate the minimums and get the feel-good moment of adding an extra payment. That way you don’t risk being late on a payment because you can’t decide whether to add $50 extra or $100 extra that month.